← New article on Cassandra just published! The Mémé Stories have gone public! 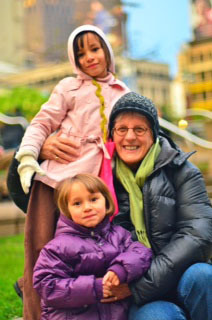 A little over a year ago, I was inspired to start a blog for my granddaughters – Sophie and Elodie. 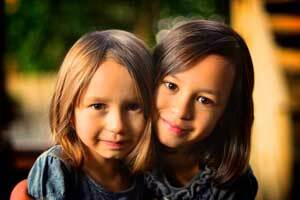 Sophie was born on April 10, 2004 and Elodie was born on December 31, 2005. The name their parents selected for me is Mémé. I was present for both of their births- a gift from their parents that I will forever cherish! their favorites are simple, seemingly insignificant things – like the time that Kelleth, at about age 4, ran onto an elevator before I got there, and ended up on the elevator by himself after the doors closed! They love any stories, of course, but when I am with them they want stories that reveal something of these grownups into whose world they have been delivered, especially stories that they can related to their own experience (running onto an elevator without your parents is not a good idea!!). The problem is that for me, recalling stories on request around a dinner table is not something that comes easily! But do I ever have the stories to tell .. stories that have little significance for the world at large, but stories that have deep meanings for them ..
meanings beyond anything that I can comprehend or know. So I decided to start a blog of stories that come to me, inspired in part by experiences that I share with them in the ordinary course of daily life and launched “Mémé Stories for Sophie and Elodie” in April 2013. When I started the blog, I decided to keep it private, and only share it with Kelleth and the girls. But then Kelleth’s family expanded to include his wonderful wife Laura, and her son Camilo. And there are other relatives and friends (you may be one of them) who enjoy my stories about Sophie and Elodie, and now Camilo (which are usually amazing!) and who might also be interested in these stories! And looking back over the stories posted so far (there are not that many actually!!) I could see no reason to keep this hidden from public view. While the stories are quite “personal” in that they are stories of my past that arise from ordinary experiences I share with the “Chimzalez” family (their nick-name for their blended family that combines 3 surnames in the blend) there is nothing “private” about them. In fact, some of the stories have been the focus of many conversations I have had with friends over the years, as we have shared our lives in ways that reveal who we are and the past that has shaped who we are. So I invite you to visit the Mémé Stories – even follow them if you wish! And do not refrain from commenting! Since the blog is “speaking” not only to Sophie and Elodie but also to all children growing up in today’s world, I especially welcome comments that speak directly to the children! I am delighted to expand this inter-generational connection with my friends and colleagues around the world! Most of all, if you visit the stories, I hope you enjoy! This entry was posted in Girls, Reflections and tagged grandmothering, intergenerational connections, stories. Bookmark the permalink. 5 Responses to The Mémé Stories have gone public! Thanks Sue! Sending big hugs your way! I think it is wonderful to write letters of Kelleth growing up. I would very much love to hear your story as well. I think we should continue our plan to write together a story about growing up Tatum. I love your idea of the stories to your Grandchildren. I would like to know how to publish, as I have often thought of doing the same thing. As I think back to your Dad, he often wrote letters to my Dad, that were religious, but very interesting about his life as a Minister in Hawaii. Yes indeed! We do have quite the stories, don’t we! One of these days we will get the idea to write more! Meanwhile, a blog is a great way to get lots of ideas down! In fact, many books and published stories get written based on blogs that people write .. eventually they get enough together, and organize the ideas in to something publishable! We can talk more in August!